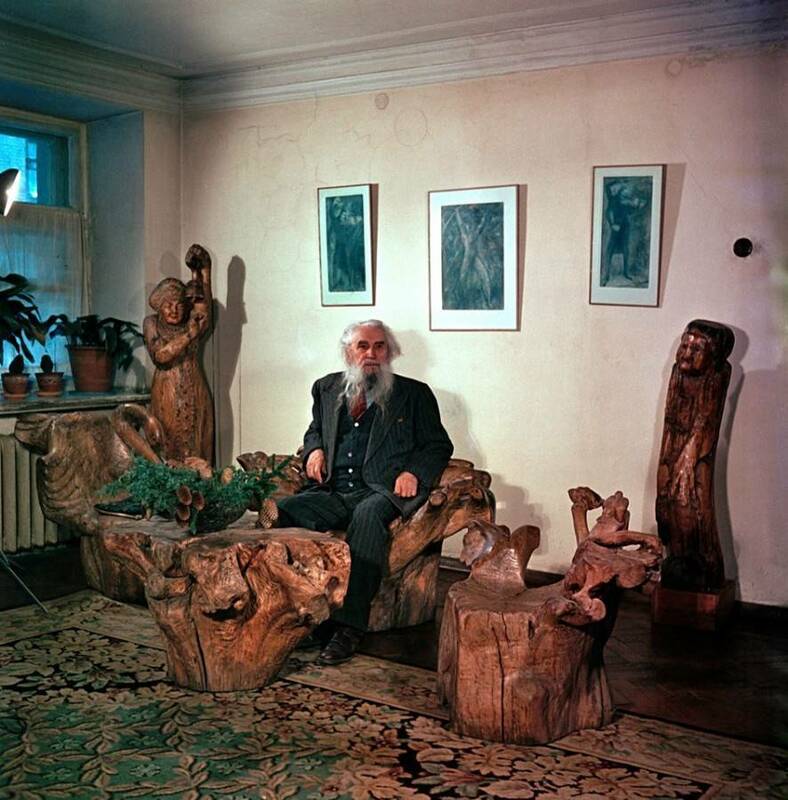 His museum comprises a workshop and living rooms. 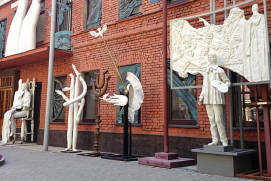 Artworks by Konenkov and his followers are on display. 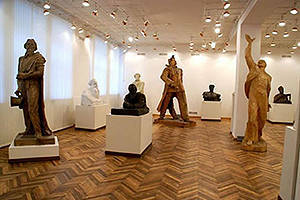 The Museum is located on Pushkinskaya Square, and Konenkov worked himself on the studio’s interior design. 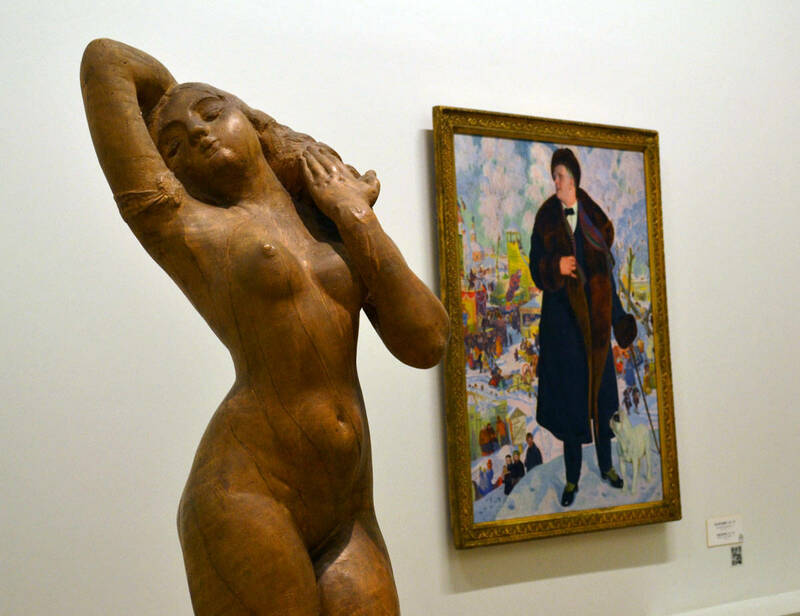 Joining a guided tour is highly recommended for deeper immersion into the exhibition. Information is available in Russian. 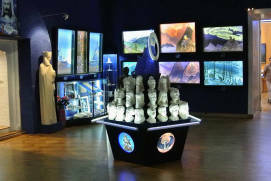 The memorial studio-style museum of sculptor S.T. 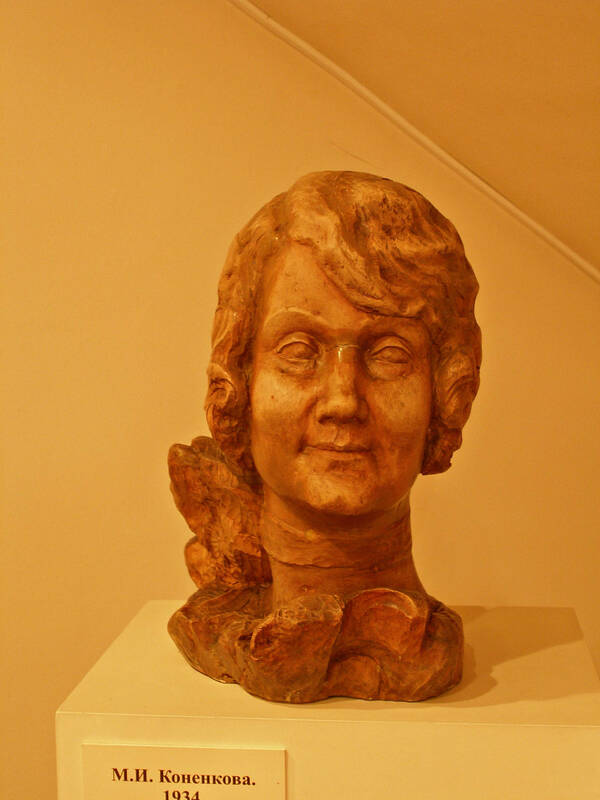 Konenkov (1874-1971) is one of those little-known museums often overlooked by the public. 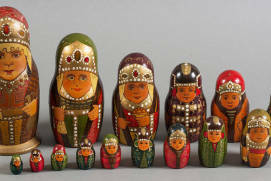 Although the museum is only 25 minutes away from the main sight of Russia – the Kremlin Moscow. 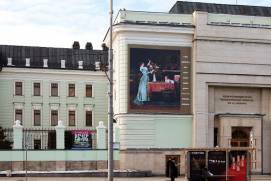 Even some Muscovites do not know about this museum, which is unfortunate because the museum is worth a visit for many reasons. 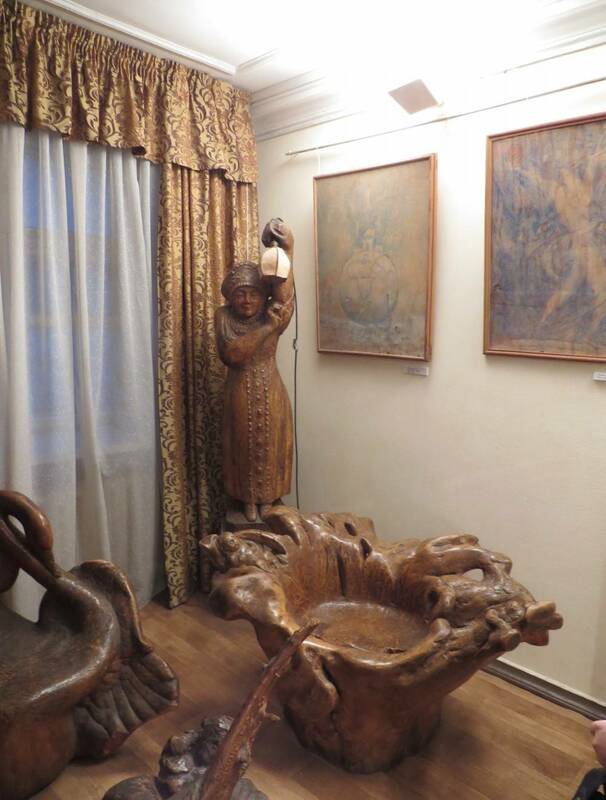 Firstly, it conveys the remarkable artist and sculptor’s life and work and secondly, the interior of the studio was designed by Konenkov himself. 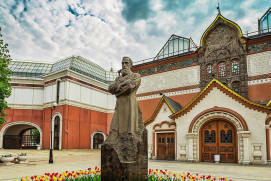 Not to mention, the museum is located in Pushkin SquareRussian: Pushkinskaya ploschad or Пушкинская площадь in a landmark building of its time, which makes it very convenient to combine a visit to the museum with a stroll along Moscow’s picturesque boulevards. 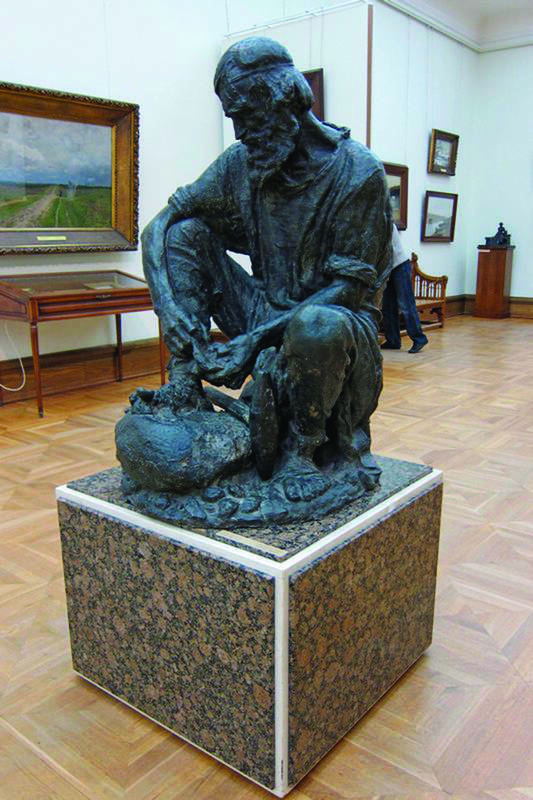 The most valuable part of the display is undoubtedly Konenkov’s own works – this museum contains the largest collection of his works in Russia. 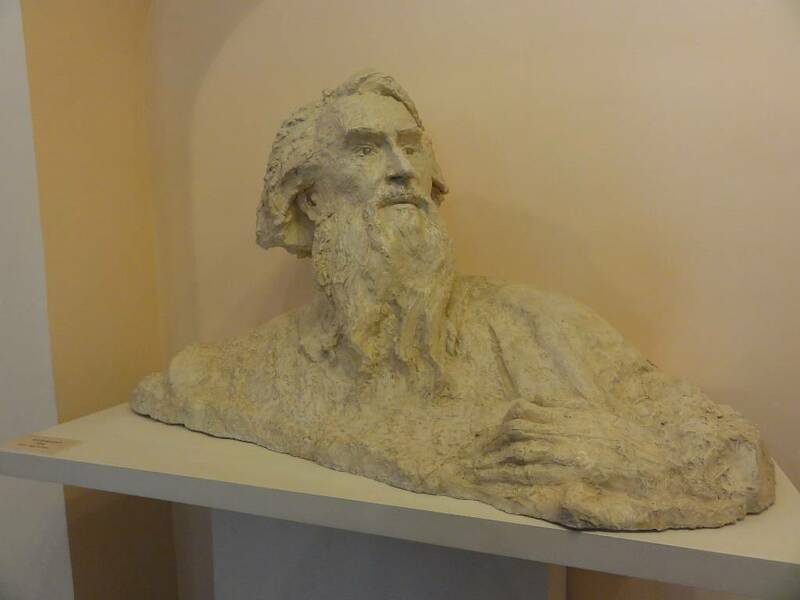 Sergey Konenkov is one of the most famous Russian sculptors of the 20th century. 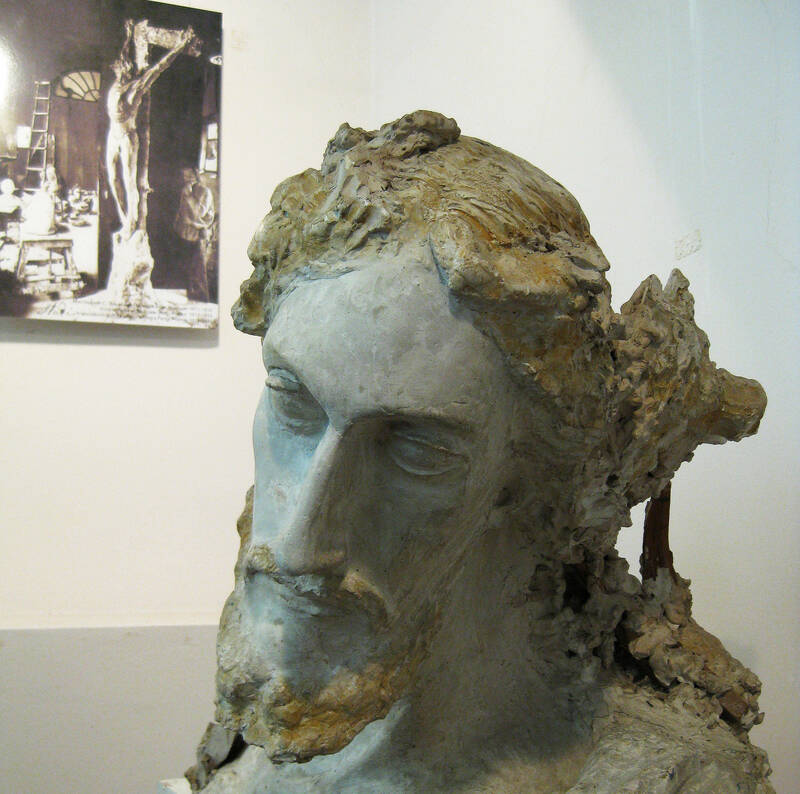 His works are very emotionally expressive and distinct in the author’s feel for the material with which he worked. 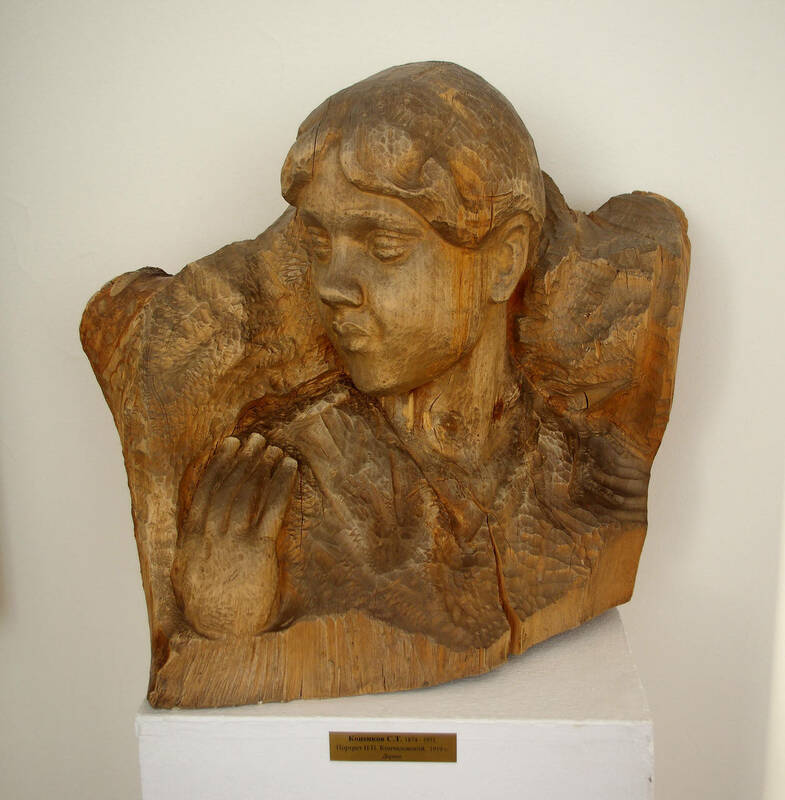 Whether it’s wood, bronze or marble, the sculptor showed great mastery of various techniques, taking advantage of the specific nature of each type of material to turn it into art. 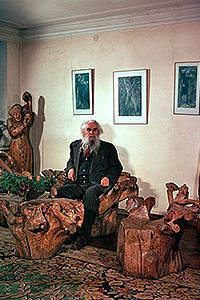 Sergey Konenkov’s artwork is very diverse and includes portraits of historical and cultural figures (with V. Mayakovskya Russian Soviet poet, A. Einstein, M. Gorkya Russian and Soviet writer, a founder of the socialist realism literary method and a political activist among them), prototypical ancient heroes and Russian folklore characters, allegorical compositions and even installations. 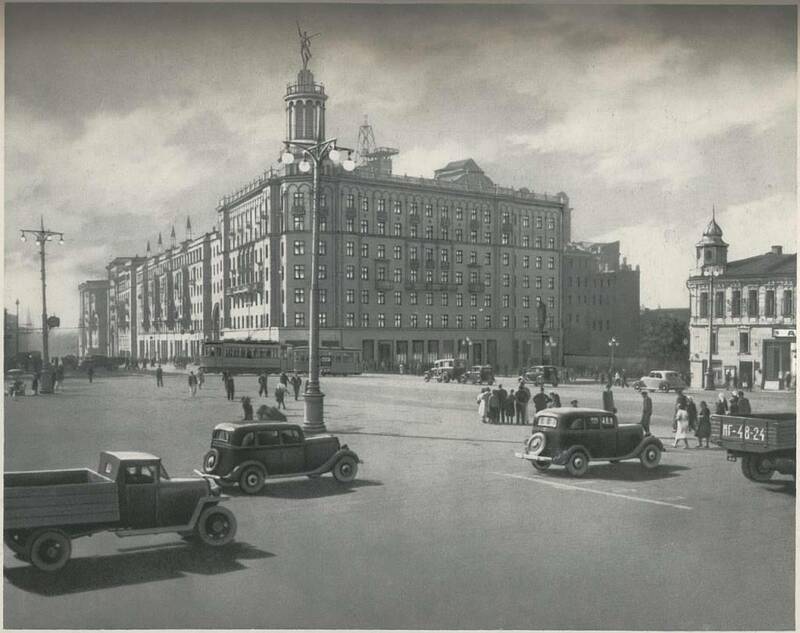 Konenkov moved to #17, Tverskaya StreetRussian: Tverskaya ulitsa or Тверская улица in 1947. 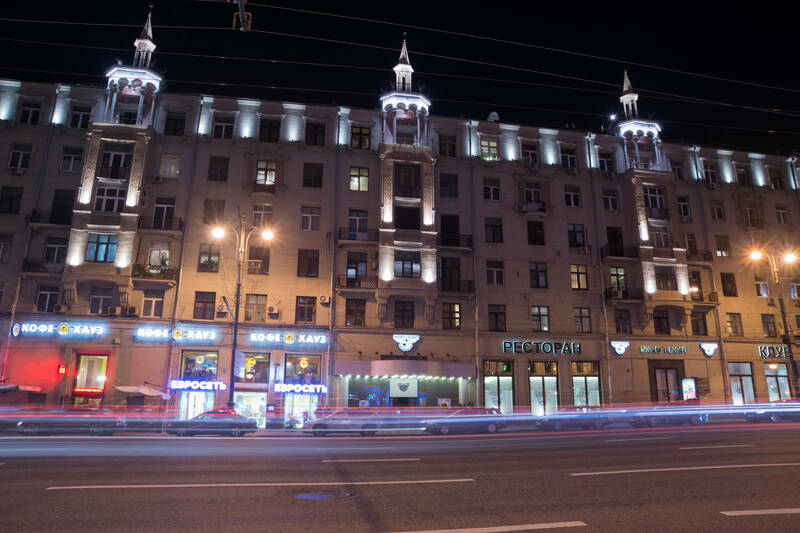 The building, designed by architect A.G. Mordvinov, was commonly nicknamed “the house under a skirt” because once its corner tower was topped with a statue of a ballerina. 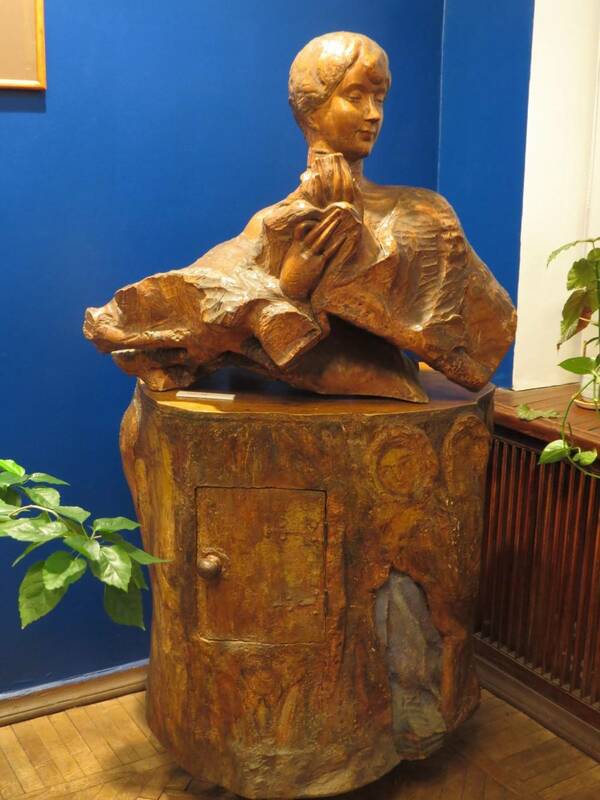 Many famous personalities used to live in this house, including playwright G. Gorin and musician A. Goldenweiser. The museum was opened in 1974 to mark 100 years since the sculptor’s birth and now includes Konenkov’s studio and living quarters. 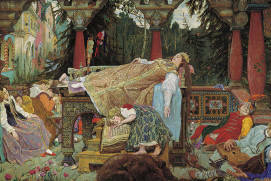 Visitors have the unique opportunity to follow the stages of Konenkov’s creative career, see the way he developed his craft and admire his artistic diversity. 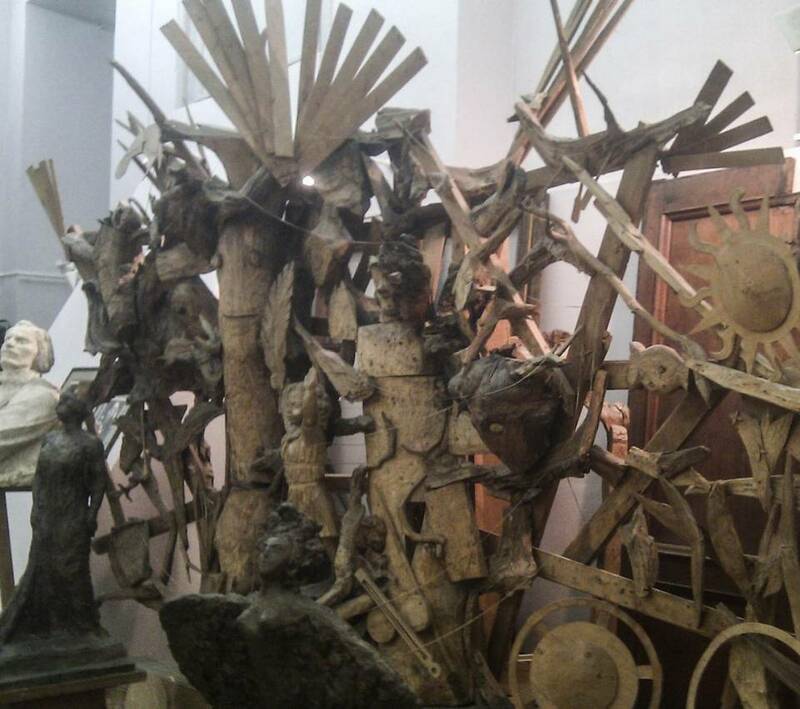 In addition, his students’ artwork is exhibited in the museum. 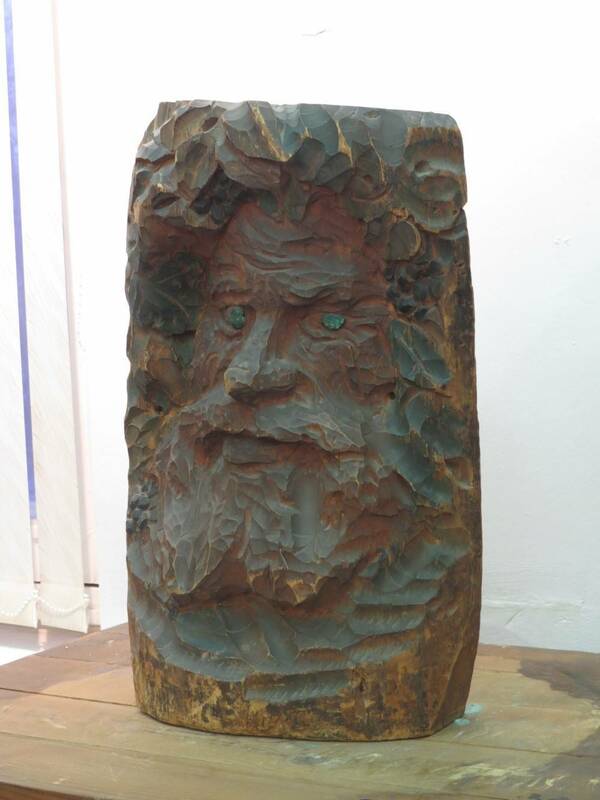 This is a great place to learn to truly see sculpture, to understand the differences in the material it consists of and to develop a feel for the creative process. 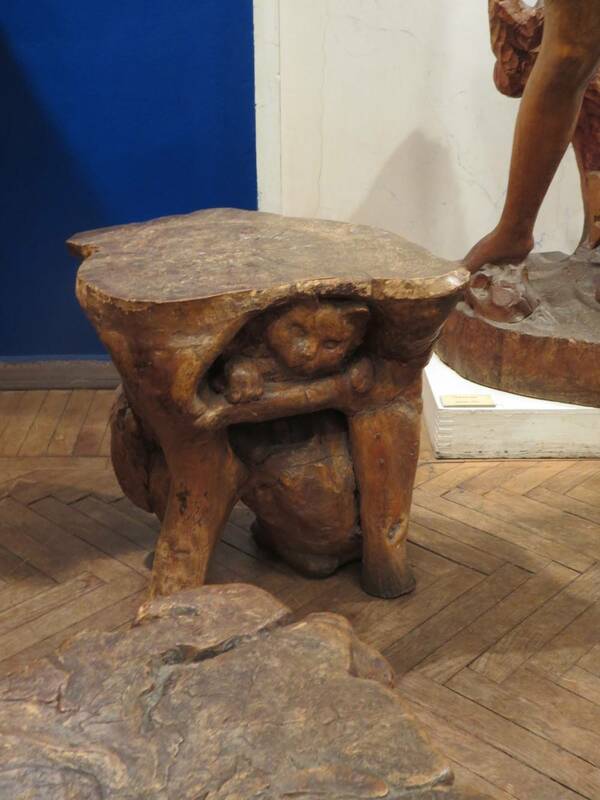 For example, the sculptor’s talent for woodwork is well exemplified by the amazing furniture he made: a swan-shaped chair, a stool featuring a cat, and a flower-shaped chair. 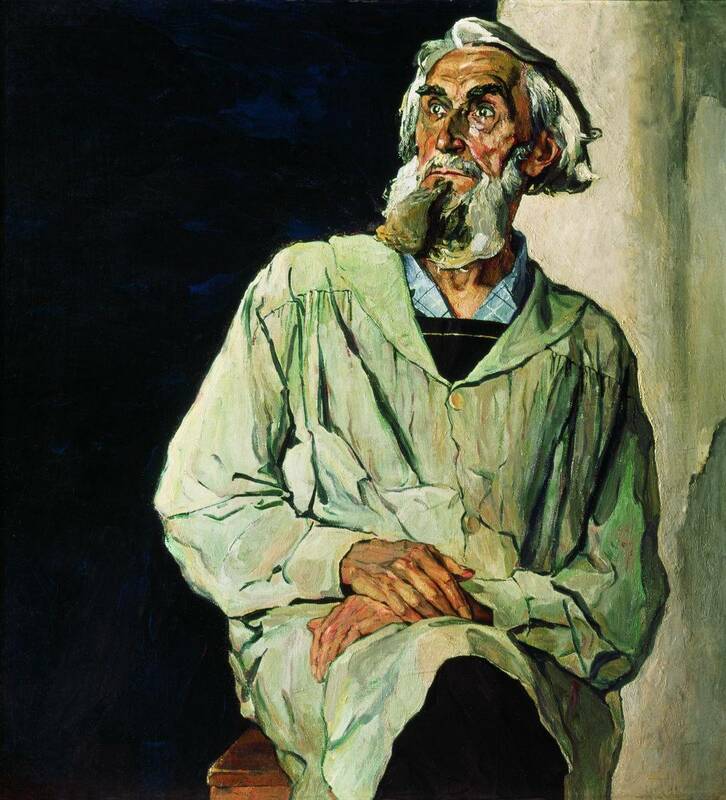 On display there are also some mythological characters ( “LeshiyRussian: Lesovik or Лесовик“, “BacchusRussian: Vakkh or Вакх“), a gallery of portraits ( “Paganini”, “Bach,” “Einstein” and, last but not least, the famous “Self-PortraitRussian: Avtoportret or Автопортрет“), as well as a little-known (but no less interesting) New Testament series depicting Jesus Christ and the apostles. 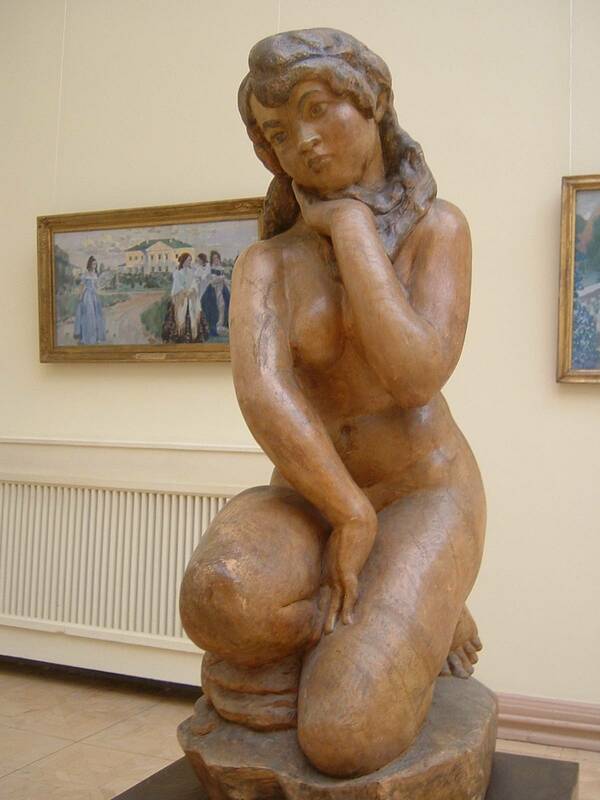 There is even an installation called “SpaceRussian: Kosmos or Космос“, a true innovation in Soviet art. 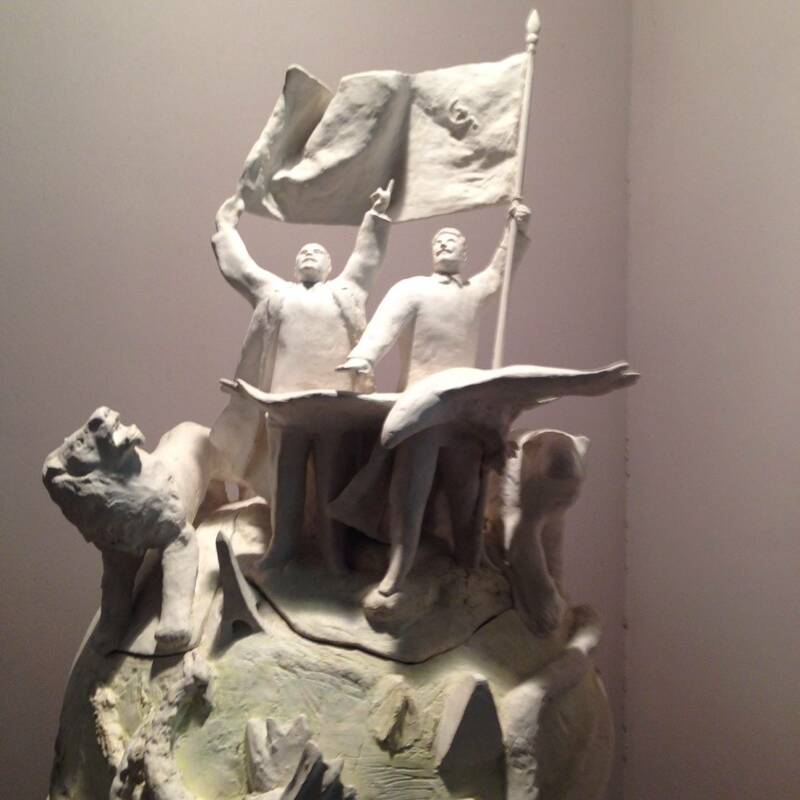 Apart from Konenkov’s sculptures, the museum displays materials related to his life, in particular, documents, books, and photos. 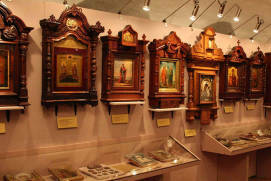 A visit to the museum will be fascinating for kids and adults alike. 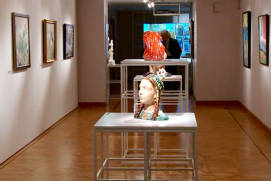 The exhibition space is intimate and cosy and there are a variety of exhibits. 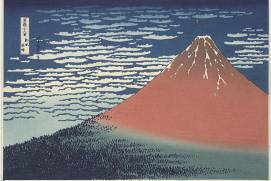 It is not over-crowded, which allows you the opportunity to examine everything carefully in a calm atmosphere. 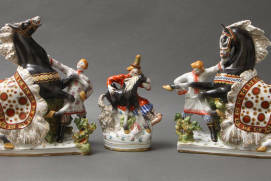 Visitors to the museum speak especially warmly of its employees. 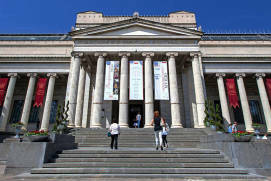 It’s recommended that if you are coming here for the first time, that you take a guided tour. 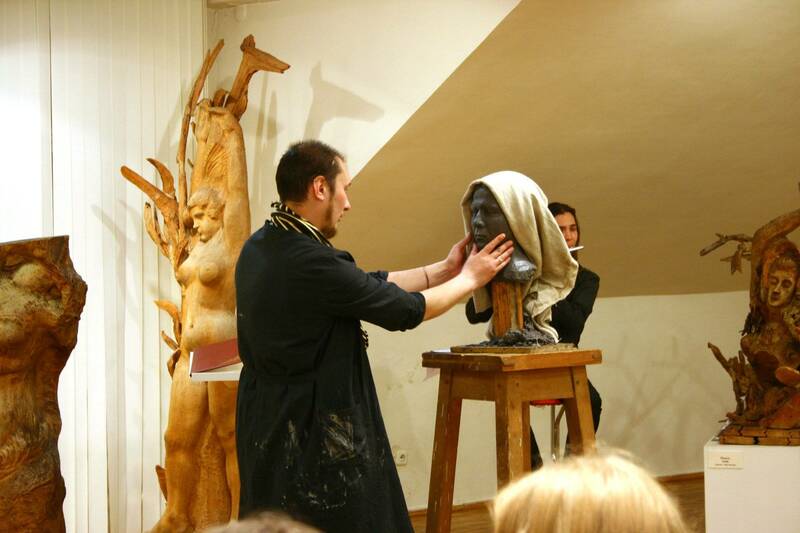 The guides are highly professional and passionate about what they do – you will be sure to learn a lot this way. 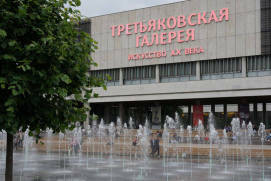 From 40 to 150 rubles depending on visitor's category and programme of visits. 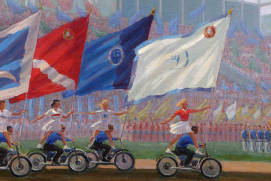 The museum hosts painters' memorial meetings, recitals and musical evenings. 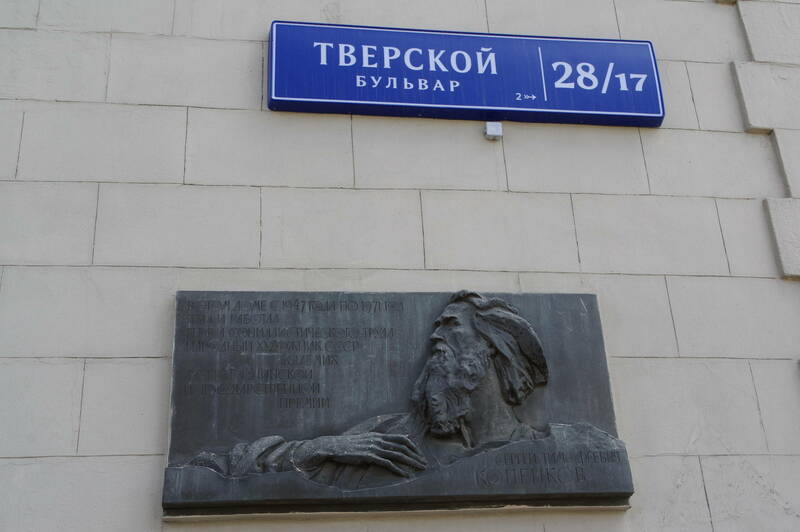 The museum is located right next to the Tverskaya-Pushkinskaya metro station, where Tverskoy Boulevard starts, but in my busy everyday life I never noticed it. I dropped in and was amazed by the atmosphere. It is difficult to put it into words, you really need to go and visit it. Unusual, heartwarming, original, different. 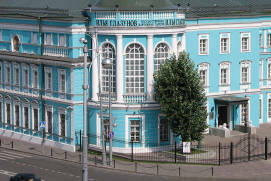 This is a memorial museum with many things which used to belong to Konenkov. 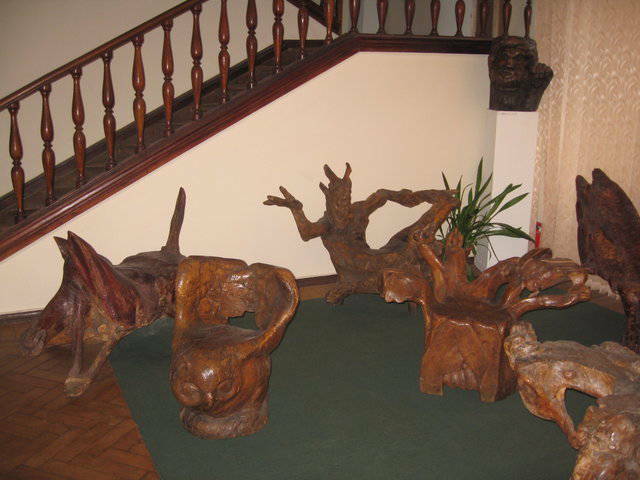 In the entrance hall the master’s sculptures are arranged as they were during his life. 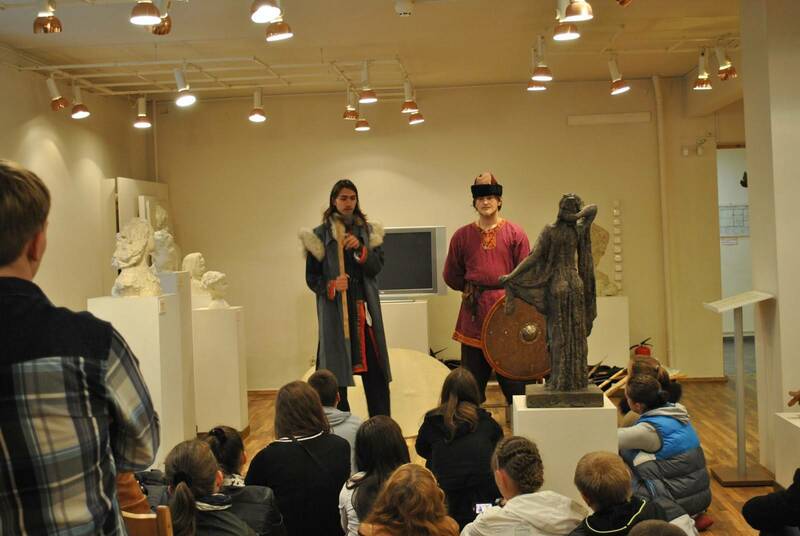 We took a guided tour and really enjoyed the guide’s detailed story. 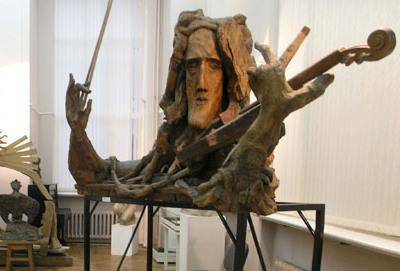 Konenkov’s sculptures are unusual, emotional, and heartwarming. Highly recommended! The admission fee is low. 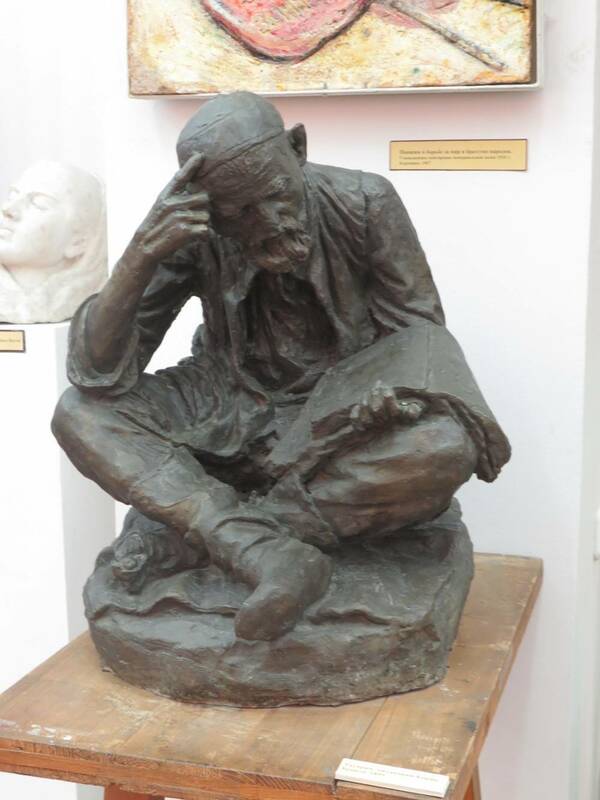 The museum is very small with warm-hearted employees who know and love the sculptor’s artwork and every time tell you interesting stories about his life. 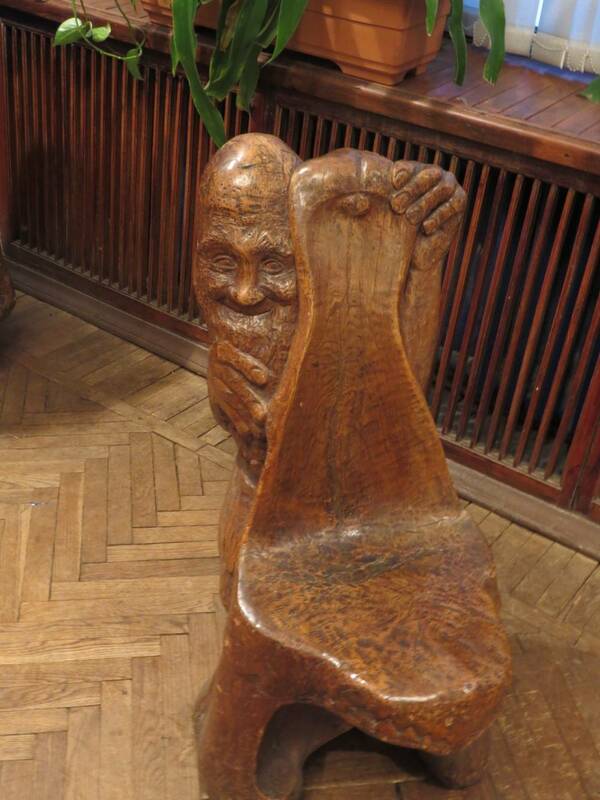 Our favorite exhibits in this museum are chairs made from trees roots. They are fascinating! 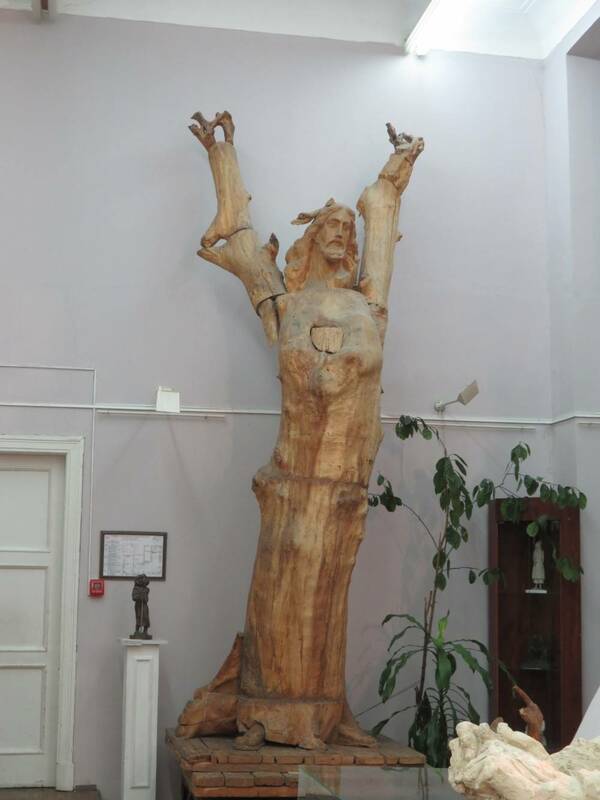 I recommend everyone to have a look around this museum.